When you look at older material long enough, it starts to get a little boring. We’ve done you the favor of collecting some hundred year old political cartoons and updating the captions to make them more relevant to our own lives. פּרעזידענט װילסאָן: (צו רוסלאַנד): אין נאָמען פֿון דעם גאַנען אַמעריקאַנער פֿאָלק באָט איך דיר אַן סימפּאַטיע און הילפֿע. 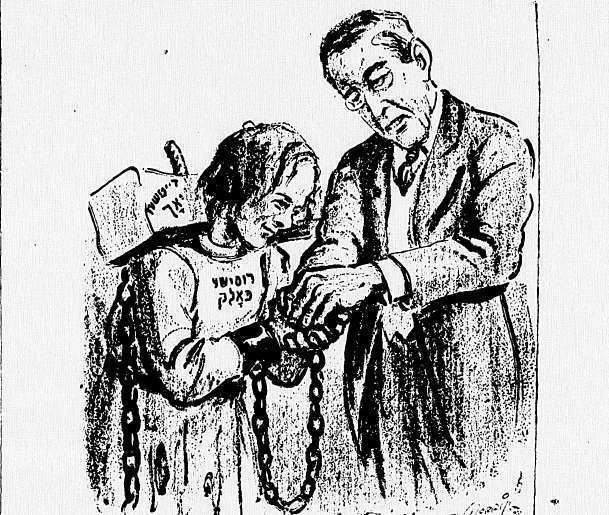 President Wilson: (To Russia): In the name of the entire American people I offer you sympathy and help. Tenured professor: (to adjunct instructor): In the name of the entire faculty, I’d like to warmly encourage you to write your book already, since that’s sure to help land you a job. It worked in my day, after all. דער פּעסימיסט: ס׳איז חושך, פֿינסטער דער אידישער טהעאַטער איז טױדט. 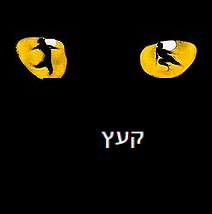 דער אָפּטימיסט: ס׳איז ליכטיק, שעהן, דער אידישער טהעאַטער לעבט און בליהט. The Pessimist: It’s dark and gloomy and Yiddish theater is dead. The Optimist: It’s light and beautiful and Yiddish theater lives and thrives. The Pessimist: It’s dark and gloomy, and the future of the humanities is in peril. The Optimist: It’s light and beautiful and open access digital humanities projects are revolutionizing how we think about and share our work. The Jew: I guess they must have enough woes, if they’re begging me to take some from them. 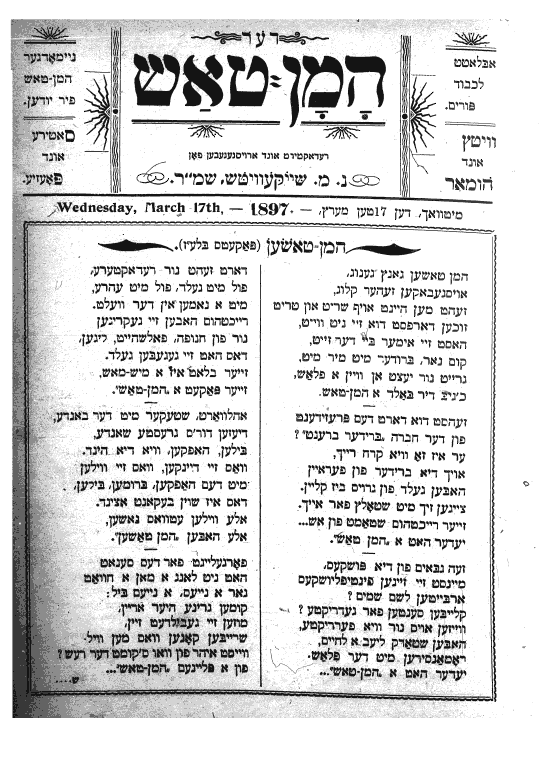 We have such a wealth of translated Yiddish literature and editorial expertise at In geveb that other publications have to come begging us for it. 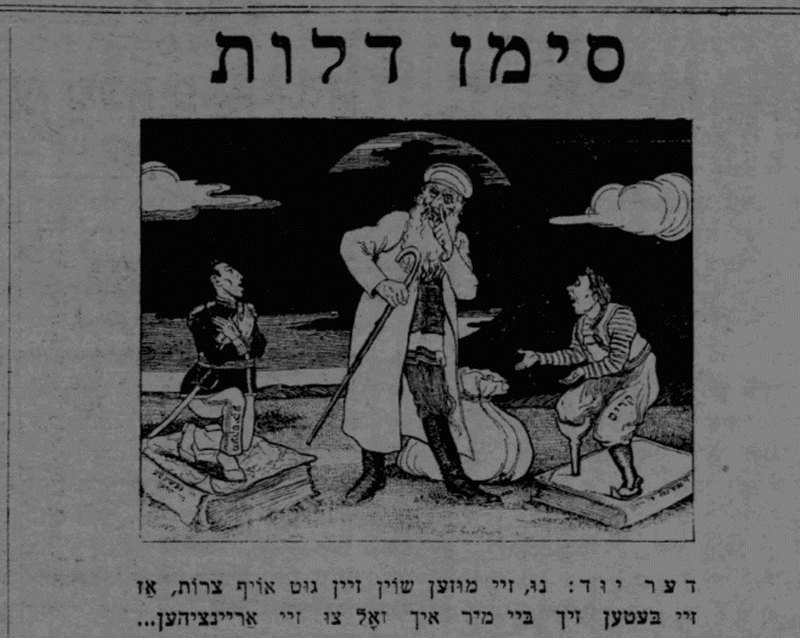 Yiddish student makes a mistake speaking Yiddish amidst language purists. Editors, The . 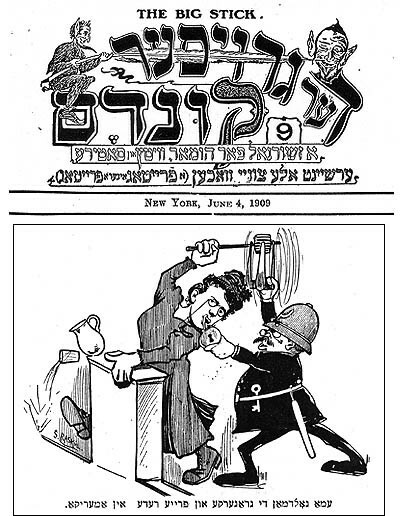 “Hundred Year Old Political Cartoons With Updated Captions.” In geveb, March 2019: https://ingeveb.org/blog/hundred-year-old-political-cartoons-with-updated-captions. Editors, The . 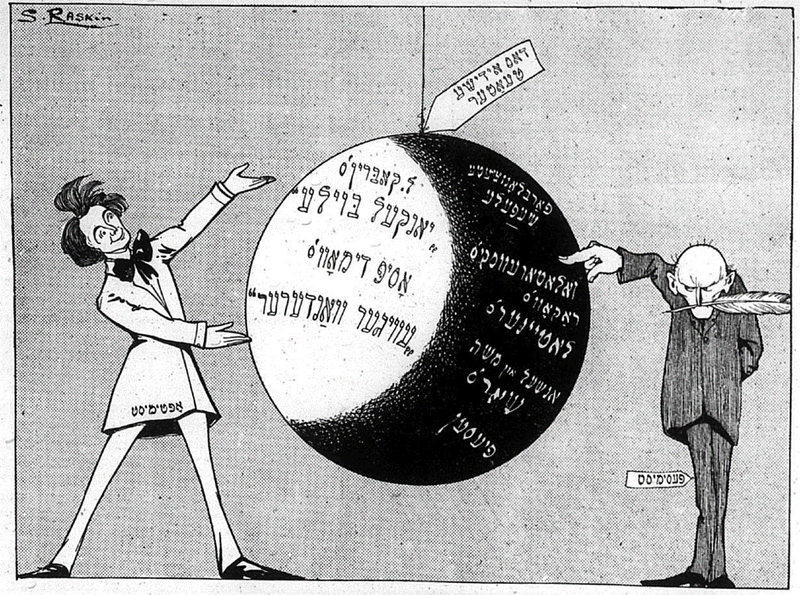 “Hundred Year Old Political Cartoons With Updated Captions.” In geveb (March 2019): Accessed Apr 20, 2019. Announcing our new advice column. 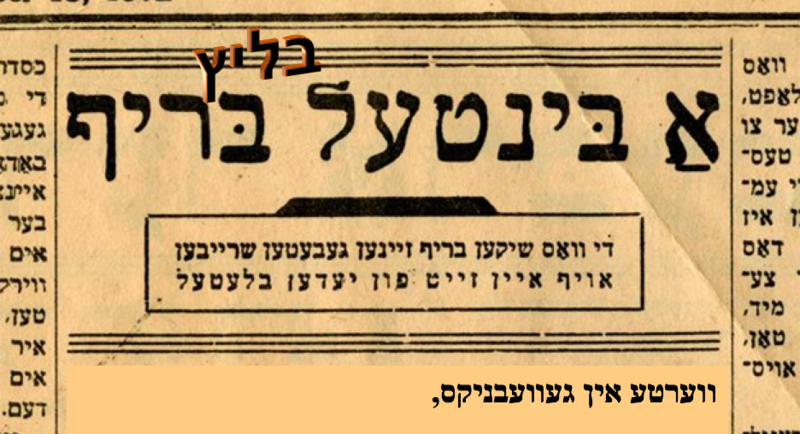 We’re restoring some Broadway musicals to their intended Yiddish originals.